From executive producer Curtis “50 Cent” Jackson comes the hit STARZ original series POWER, a visionary crime drama set in two very different worlds: the glamorous New York Club scene and the brutal streets of the drug trade. Own POWER: The Complete First Season on Blu-ray and DVD now… just in time to catch up for the Season 2 premiere on STARZ June 6th. 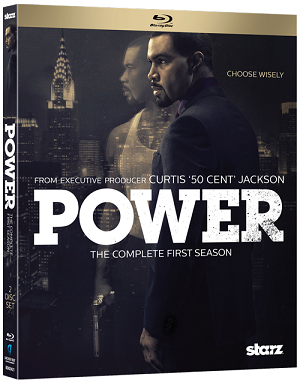 Register below to WIN POWER: The Complete First Season on Blu-ray and DVD!